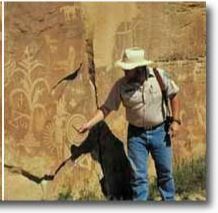 Corn - White Buffalo Trading Co.
Scholars now believe that the Balsas Valley area of south-central Mexico was the center of corn domestication some 9-10,000 years ago. 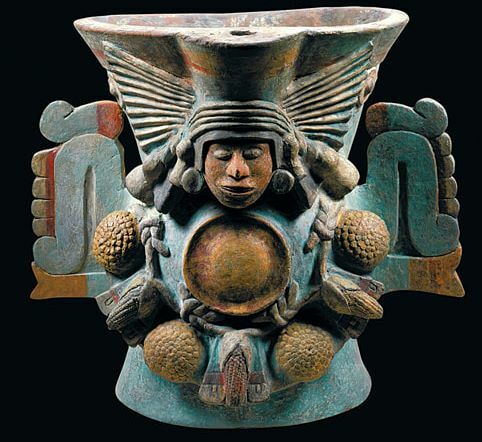 Starting with short, thinly stalked plants bearing only one seed pod, the ancient Maya and Olmec civilizations saved seed from the best plants and slowly bred their corn over time into bigger and better plants. The original Maize may have been cross bred with a native grain called teosinte until the plants became taller, thicker and more productive. Now there are literally hundreds of different strains of maize. Columbus brought corn seeds back to Europe from Central America just before 1700AD (Columbus actually never discovered nor set foot upon any part of North America in his four voyages). 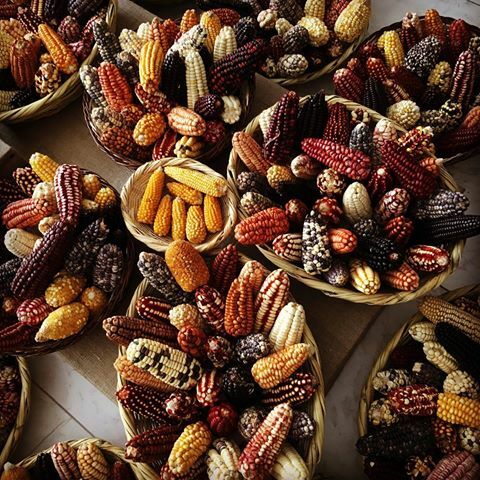 Over 5,000 years ago, ancient Minoan ships likely brought North American corn back to the Mediterranean, where it migrated to Asia and became the high-gluten strain known as Asian waxy corn. 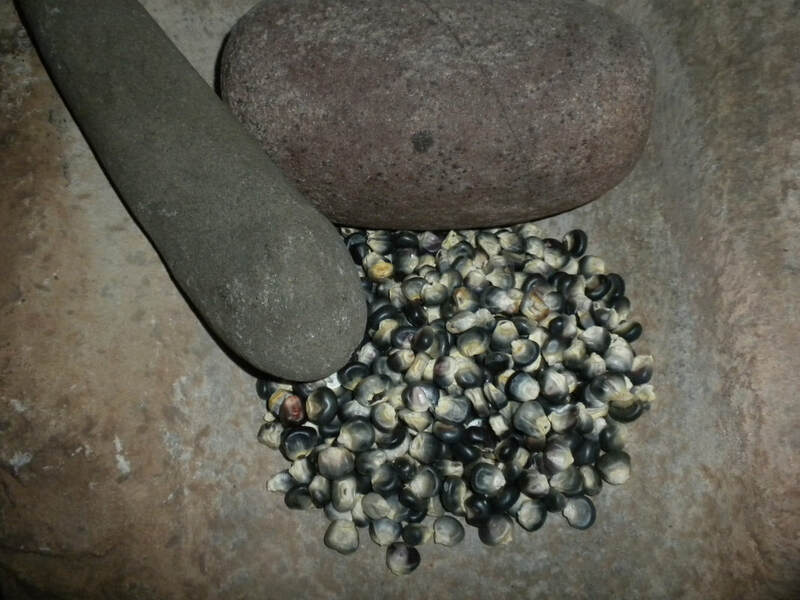 The dried silk of corn is used medicinally for urinary problems. Corn is best planted in a block of at least three rows, with rows two feet apart. Planting in this manner assists in pollination and development of full ears. Make the furrows about four inches deep, sprinkle composted chicken manure or another high nitrogen fertilizer in the bottom of the furrow, drop the corn seeds (one every six inches or so) into the furrow, then cover with soil and tamp down by hand. Water thoroughly after planting, but then hold off on the water until the corn shows above the ground. Hot, sunny, dry days provide the best conditions for germination, and a hard crust on the surface makes it difficult for crows to pull up the young seedlings. After the seedlings reach three inches or so, thin them to at least a foot apart, and cultivate frequently and shallowly, pushing soil up around the plants as they mature (in order to give them more wind resistance). When the corn tassels appear, extra water is required. Once the corn plants reach knee high, you can companion plant with squash, crimson clover, and/or pole beans. 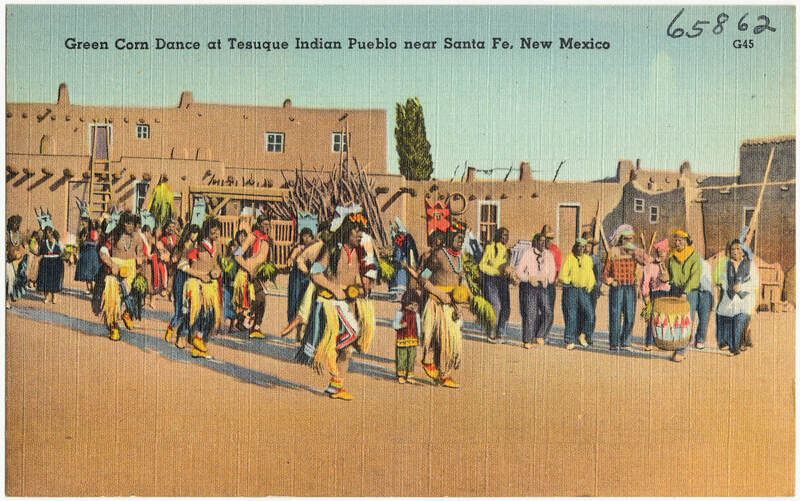 (Native Americans typically planted the 'Three Sisters" of corn, beans and squash all together in one field). When the clover or squash comes up, it covers up the bare soil and discourages weeds. The roots of any legumes, such as clover or beans, fix airborne nitrogen, which is then consumed by the corn as it matures. Corn needs a high amount of nitrogen and is a heavy feeder, therefore, active soil management is needed to keep soils fertile when growing long term. Composted manure, blood meal, feather meal, and leather meal are all great natural sources of nitrogen, although vegans may not approve. Fresh manure may burn plants, so never use it raw. Nearly ALL the natural sources of nitrogen come from animals. Human urine is high in nitrogen (uric acid) and can be used fresh IF mixed 20 to 1 with water. Fresh undiluted urine will overdose plants and may kill them (as witnessed by all the brown spots in your lawn left by dog pee), however it is useful to pee into your compost bin on a regular basis. Wood ash can be added to soil topside just before the stalks mature, adding potassium from the NPK for best blooming. Separate corn varieties by 600 feet if growing for seed stock. 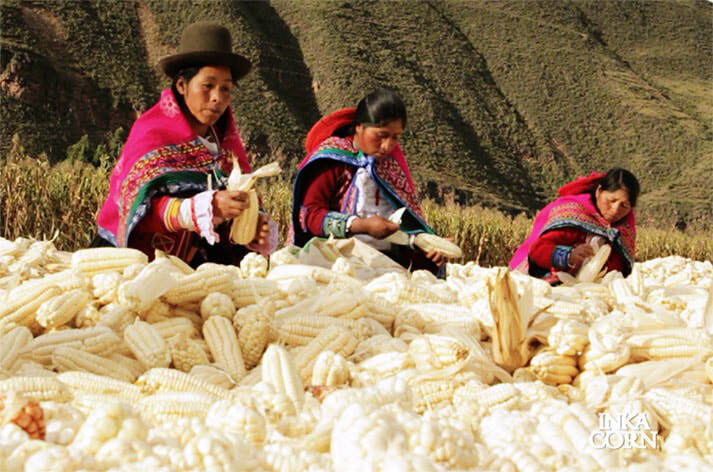 Harvest sweet corn when the silk dries back and the kernels are full and juicy. Get the fire going under a big kettle of water before you even harvest heirloom sweet ears, then pick them and drop the fresh corn into the boiling water without delay. This will give you the sweetest corn, because sugars rapidly become starch once the corn is harvested. To make parched corn (very good for winter soups), parboil the fresh ears for two minutes and then put in cold water and then dry in a dehydrator or in the sun. Once the kernels are dry on the cob, shuck them off and make sure they are completely dried through before storing in gallon jars for the winter. This is very similar to the method for freezing corn. To freeze, parboil the fresh corn ear for two minutes, dump in cold water to cool, then slice the kernels off the ear with a knife and put them in plastic bags and freeze them right away--that works really well, and these can be taken out of the freezer and reconstituted by boiling in a little water and butter or coconut oil--yummy! Some corns are best for roasting corn. These are usually a dense sweet or light dent corn with harder shells that require a longer cooking time. Roast over a BBQ or open fire and garnish with butter and salt and pepper. Yummy! To save the seed for replanting, obviously, do not cook it! Let the ears fully mature on the stalks; then pick, shuck and dry ears on screens in a place with good airflow. When the seed is completely dry, remove the kernels and store in glass Mason jars for use the next year, or the year after. Dent corn (Zea mays indentata) (Field corn) - A high starch content; used for flour, cornmeal, masa and full roasting ears. Yellow or white colors; named for the dimple (or dent) in the kernels. Typically from the Midwest and Southwest areas of the USA. Besides providing a food source, dent corn is also used to make plastic and ethanol fuels. Flint corn (Zea mays indurata) (Indian corn, Calico corn) - Kernels have a very hard outer layer; low water content, resists freezing more than other varieties, and is multicolored and all yellow. Flint corn is used for hominy, polenta, grits, popping, animal feed, and as an ornamental. Flint corn is often from the Northeast area of the USA. 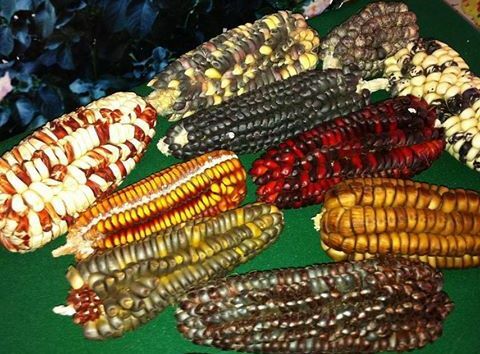 Pod corn (Zea mays var.tunicata) - A mutation of early corn; each kernel is surrounded by a husk; multicolored. Hard to find now. Popcorn (Zea mays everta) - A subspecies of Flint corn; kernels have a hard outer layer surrounding a soft starchy seed. Sweet corn (Zea mays saccarata; Syn. Zea mays rugosa) - Grown for picking early and fresh, before the kernels convert from sugar to starch. Modern F1 hybrid sweet corns are developed for higher sugar and sugars that do not convert to starch quickly, but their seeds will not grow true if saved. 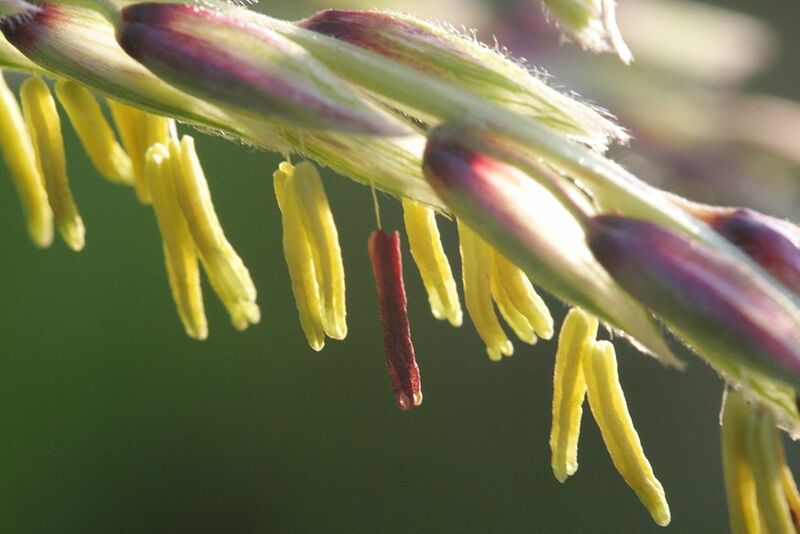 Hybrids are made by pollinating the female ears of one strain with the male tassel sperm of another corn strain. These have big consumer appeal, but gardeners wishing to save their own seed must grow heirlooms. Asian corn (Zea mays var. ??) - A dense, waxy, high gluten strain of corn grown in most of Asia for many centuries. Comes in a rainbow of colors with white, yellow and black the most common. Indian corn is also known as Flint corn or Calico corn. 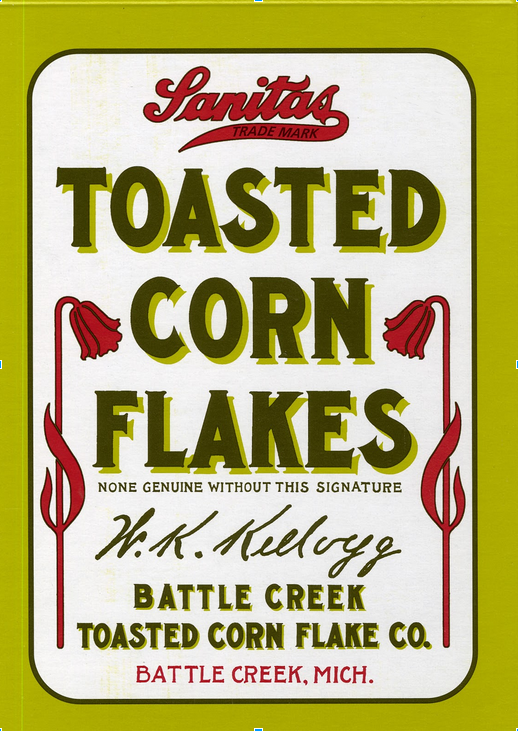 Because each corn kernel has a hard outer shell when dry, it is likened to being 'hard as flint'; hence the name. Flint is an extremely hard stone known to many ancient peoples as a fire starter and sparking tool. It was so effective that the antique English 'Flintlock' gun actually had a piece of flint on the striker, which would hit a metal strike plate on the gun, igniting the gunpowder that was still carried in a flask or converted cow horn. 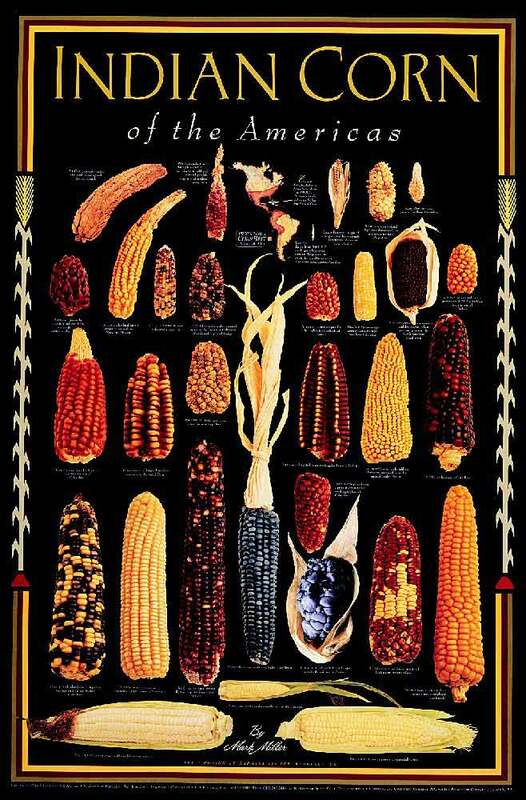 Most Indian corn actually comes from Central America. 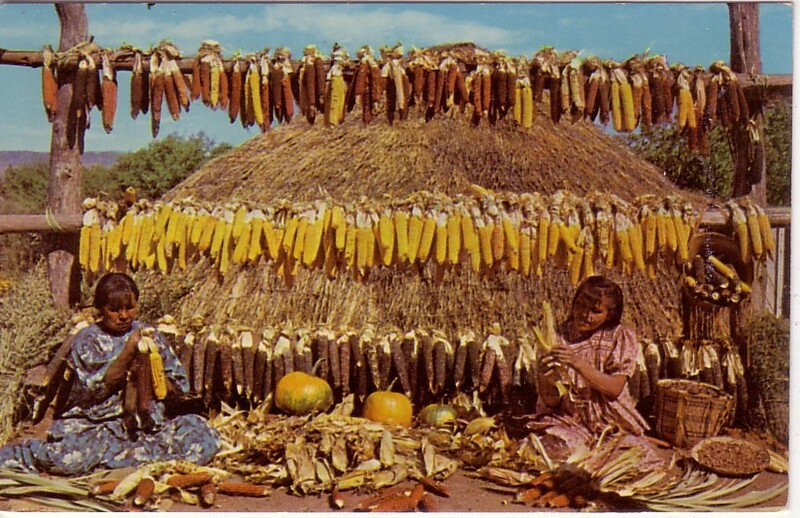 Indian corn is often dried and used to make corn flour and hominy. Dent Corn is similar to flint corn, but is more a heritage from white settlers and small scale farmers in the USA. It was so named due to the dent that develops in the corn top after drying. Dent corn is dried and ground into corn meal, flour or masa. ​Dent corn is often grown for silage. 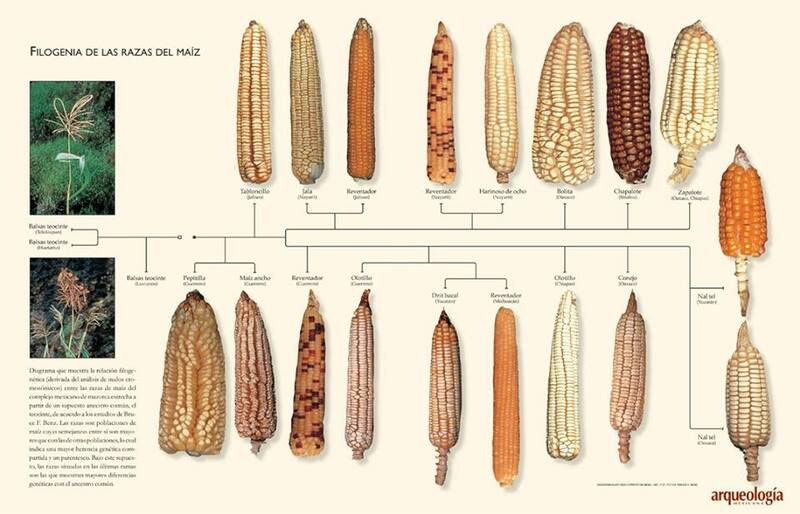 Many dent corns were traded or adapted from Indian corn centuries ago. 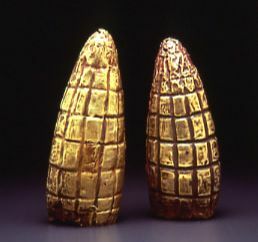 About 5,000 years ago, Minoan ships from the island of what is now called Crete brought native American corn to the edges of Asia (since the ancient Minoan sailors were surface mining our Great Lakes copper over five millennia ago to fuel the European Bronze Age, removing up to a billion pounds of copper ore, they are the most likely candidates for whomever actually brought corn seeds and coca powder to the Mediterranean around 3000 BC. We know this because an underwater Minoan shipwreck was filled with copper that metallurgical tests matched to the unique signature of the Michigan copper deposits that still are being worked today. And since scientists reported that South American coca powder had been injected into an ancient Egyptian mummy, we know that ancient sailors were also transporting dried coca leaves to the Mediterranean about 5,000 years ago). Those imported American corn seeds eventually evolved naturally over time into the waxy, high-gluten corn strain now found all over Asia. History Note: It is believed that Minoan society was completely wiped out by the massive volcanic explosion that destroyed Santorini island about 1500 BC, creating a huge deadly tsunami. Some believe the volcanic blast survivors from Crete and/or Atlantis then migrated to Alexandria, Egypt ,becoming the highly advanced, mystical Jewish sect called the Essenes. John the Baptist and Jesus the Nazarene were both Essenes. The ancient Vikings also landed in North America a millennia ago, with Leif Erikson leaving his name on a rock near Cape Cod in 1001AD, but just not early enough to be the sailors at the heart of the thorny corn question. Shortly thereafter, French ships of the Holy Order of the Knights Templar also explored all of the west coast of North America before and just after 1300AD (when the Friday the 13th French crackdown forced their surviving members into hiding), constructing an underground treasure vault on Oak Island in Nova Scotia which utilized Caribbean coconut fibers collected by their ships south of Florida, nearly 200 years before Columbus was even born. Columbus discovered Cuba, but NEVER set foot on any part of North America. A few scholars believe that the bulk of the surviving Templars ended up in Portugal under a new name. Asian waxy corn was 'discovered' by an American botanist in China in 1909. This plant showed several peculiar traits when later analyzed by western scientists. 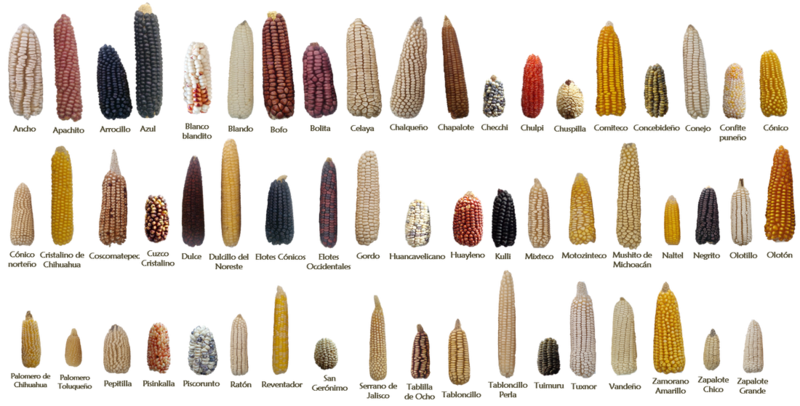 In 1922, a researcher found that the endosperm of waxy maize contained only amylopectin and no amylose starch molecules, in opposition to American maize varieties that contain both starches. 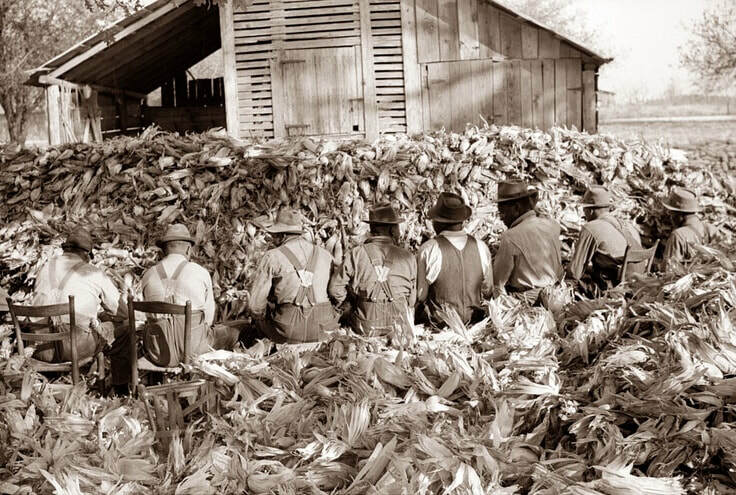 Until 1941, the main source of starch in the USA was tapioca from Japan, but during WWII, food processors were forced to turn to waxy maize for starch production. Amylopectin or waxy starch is used mainly in food products, as well as in the textile, adhesive, corrugating and paper industry. When feeding trials later showed that waxy maize could produce more efficient weight gains in cattle than normal dent maize, interest in waxy maize suddenly mushroomed. Geneticists have shown that waxy maize has an abnormal difference in metabolism precluding the synthesis of amylose in the endosperm. It is coded by a single recessive gene (wx). Waxy maize fields yield about 3.5% less per acre than their other corn cousins. Asian corn must be cooked for at least 30 minutes. When dried, Asian corn does not shrink, shrivel or dent. It is that dense. © Copyright 2012-2019, Datura Don, White Buffalo Trading Company. ​All rights reserved.